The largest gathering of Caribbean American people in Central Florida for our 32nd Annual Orlando Carnival hosted by The Original Orlando Carnival Association. This event features a wide assortment of DJ's, Caribbean Cuisine, and amazing artists! The Original Orlando Carnival Association will host the 31st annual Orlando Carnival. 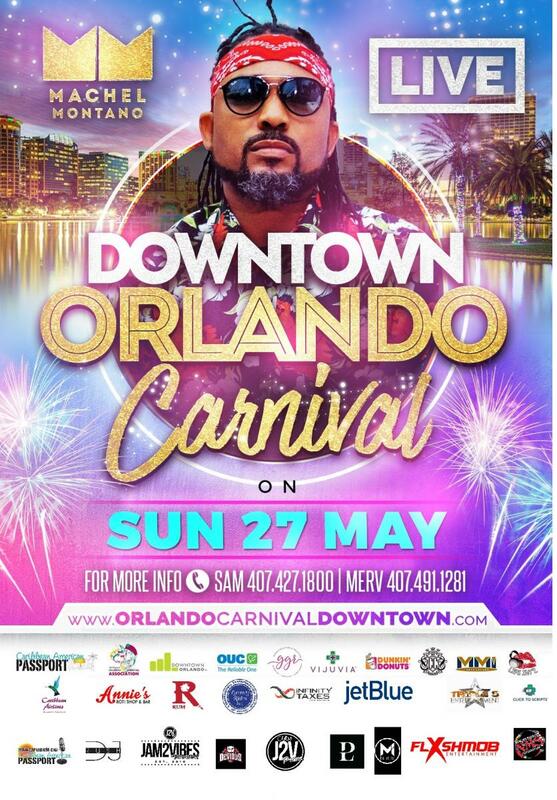 The Carnival will be held Downtown Orlando on Sunday May 27th starting at noon. SPECIAL PROMOTIONAL PRICING AVAILABLE FOR EARLY BIRD PURCHASES. Carnival is a family-friendly festival filled with pageantry and a weekend of parties will celebrate the culture of the Caribbean. Festival goers are in for a great treat as we open the Carnival to the public by having a Big Carnival Celebration with music, arts and crafts vendors and more.